Chick Tracts And David W. Daniels: Unequally Yoked! Now it was only a few weeks ago that I received a Chick Publications newsletter promoting David W. Daniels’ newest book “Should A Christian Be A Mason?” And as the newsletter went on to say, the specific purpose of the book is to help the reader find out what Masonry actually believes in (what is taught to its leaders and higher-degree Masons), and what the Holy Bible has to say about those same beliefs. So, what did you think about that? Well, I don’t know about you but I got just a little confused as to exactly where David W. Daniels was headed when he talked about those “Masons who claimed to be Christians”. I mean it sound like he was going to focus in on a group of people – “Masons” – who claimed to be something – “Christian” – that they never really were. But then he bore down on his belief that “Christian” Masons would only lose some of their rewards in Heaven… and not their everlasting souls in the burning flames of Hell. I was confused! And what made matters even worse was from that point on David W. Daniels did a very nice job of proving that all those involved in the Masonic “religion” actually worship the fallen angel Lucifer. Wow, what a bust! That was David W. Daniels’ ending… and what an ending it was! In no uncertain terms, David W. Daniels not only preached, but likewise evangelized, to all those listening in on “The Living Word Radio” (WBLW), that Christians can live their lives as a Mason (worshiping Satan) and still make God’s Heaven their everlasting home! Subject: Should A Christian Be A Mason? I listened to your radio interview with WBLW and was wondering if you used I Cor. 3:9-15 in your book to describe what happens to a Christian Mason after death? In your interview you did say the Bible teaches that a Christian Mason will lose some of their rewards but not their salvation. Right? Subject: RE: Should A Christian Be A Mason? I want you to understand what is at stake, and my prayer is that you make the right decision, one that you can defend before Almighty God on Judgment Day. God bless you as you make the right choice. I do not believe that losing rewards equates with losing salvation. Christians face the judgment seat of Christ; but non-Christians face the great white throne judgment. 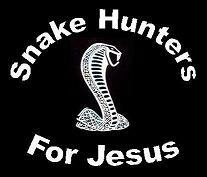 I sincerely hope that Christians will stop wasting their time and live for Him. I do believe they waste far too much time and burn up their rewards by things that pull them from serving Christ, like Masonry. The biggest thing for them to fear is that they have deceived themselves into thinking they are Christians, when they are not saved at all. I handle that as well in the conclusion to the book. I pray for 1) repentant Christians; 2) unsaved to become saved; and 3) Christians not to be deceived into joining Masonry in any way. May God bless you as you read His preserved words in English, the King James Bible or in Spanish, the RVG 2010. Now was that a bust or what? I mean try to hit the moving target in that one! The only way that any sense can be made of David W. Daniels’ answer to my simple and straightforward question – “In your interview you did say the Bible teaches that a Christian Mason will lose some of their rewards but not their salvation. Right?” – is through the assumption that David W. Daniels believes in and promotes the damnable doctrine of “once saved always saved”. 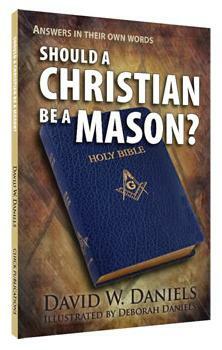 In other words, a real Christian can be a real Mason!